Lisabeth Lewis has a black steed, a set of scales, and a new job: she’s been appointed Famine.How will an anorexic seventeen-year-old girl from the suburbs fare as one of the Four Horsemen of the Apocalypse? fight her own inner demons? 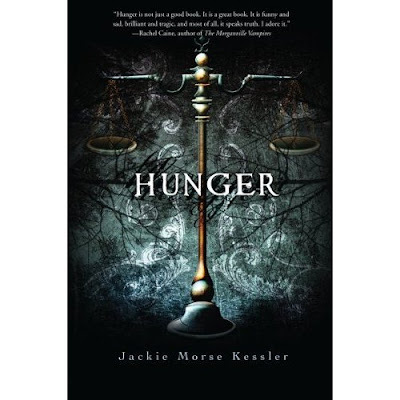 While browsing through the books available as galleys on NetGalley, I was excited to see that Hunger by young adult author Jackie Morse Kessler was available for review. 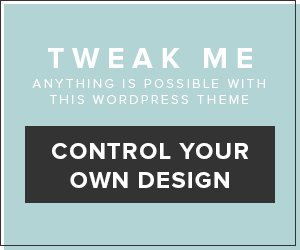 I had been hearing about this book on Twitter from the author for a while and the premise seemed very promising. What kind of person could be the best and worst candidate for Famine’s replacement on earth? Lisa is anorexic and a voice inside her head, her “Thin” voice, constantly badgers her about how fat she is, how many calories something is, how many minutes she’ll have to exercise to burn it off. She has parents who don’t seem to notice that she has a problem with food since her perfectionist mother is an absentee with many charities, and her alcoholic father is too busy catering to his mother and work. Her boyfriend and ex-best friend are very worried for her, but she quickly tries to brush them off. She has a new best friend who actually makes her anorexia worse because the new friend is bulemic and “understands” Lisa (read enables Lisa to be even more anorexic and confused). When Lisa can’t take anymore, she tries to kill herself with some of her mother’s pills. When Death finds her, she unwittingly agrees to become the new Famine of the Four Horseman of the Apocalypse. Now she must ride on her trusty steed, that Lisa named Midnight, all over the world and bring Famine wherever she goes. She feels everyone’s hunger and fights against bringing more agony, suffering, and destruction to an already starving world. While fighting to do good with her new role, she also tangles with the other Horsemen: Pestilence, War, and Death. Only War seems hell bent on destroying her as she doesn’t bring enough famine unto the world. Death presents himself as a dead grunge rock star and Pestilence seems a bit nerdy and greasy. 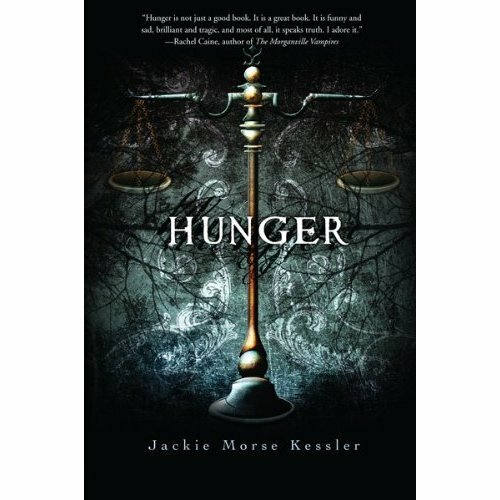 A portion of the proceeds from the sale of Hunger will be donated to the National Eating Disorders Association. The author struggled with bulemia in the past and got the help she needed to stop, so the serious portrayal of eating disorders rang true throughout this work. 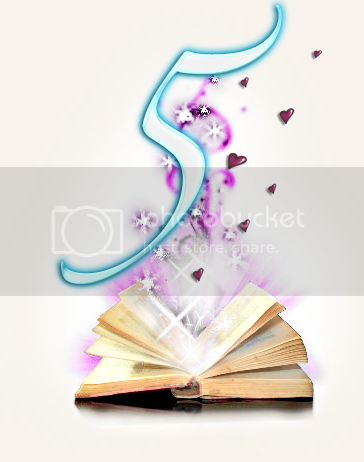 Hunger is the first book of a four book series. Rage is next featuring a girl who is a cutter becoming the new War and will be published April 18, 2011. The third book, Loss, will be published in 2012 and features the Horseman Pestilence. Thanks to NetGalley for providing an advanced Kindle copy of this book. My review is unaltered by the freeness of this book. I give this one 5 books since it was an enjoyable and unique look into eating disorders while fighting to save the world all wrapped up into one. I love this Review! I saw this book too on netgalley but I was afraid it was too angsty! But you seem to love it and I might give it a try!! This is a great review! I felt the same way about the book, it was realistic (well the eating disorder and teenage stuff) and I think it will really help teens with this disorder. This is a fantastic review (my review didn't get the comment love either). And Danny, it's not really angsty at all. It's such a fast read that you don't really get a chance to get annoyed with her. My recent post Winners of the 1-000 follower Giveaway! Really, that was the only reason I didn't pick it up, I was just afraid since the topic is really intense. But I apart from Heathers Review here, I also read other ones and all are full of praise for this book. 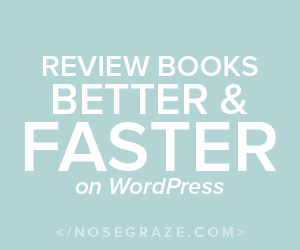 I really think this book ( and the Reviews hehe) are under appreciated!